Parliament needs to build better image among the people who choose them. Unlike the old days today we don’t have mass leaders in parliament who are respected by one and all. In the present day, people feel alienated from the leaders they chose to represent them in parliament. There is a little realization of Parliament being their own and Members being from among themselves. We tend to forget that parliament is the communication link between the people and the government. The peoples we chose are one entrusted to uphold our faith in parliament. The communication gap between people and their representative make people forget that parliament belongs to the people and not the M.Ps. M.Ps are answerable to parliament and the people who elected them. Public and press should be free to question and expose the malpractices committed by M.Ps without being threatened under the law of parliamentary privileges. During 2011 Lokpal agitation, the participation of common people sent a clear message that parliament needs to work on building positive image among people. This is the right time to install parliamentary Ombudsman (Lokpal) to gain the trust people lost in parliament. 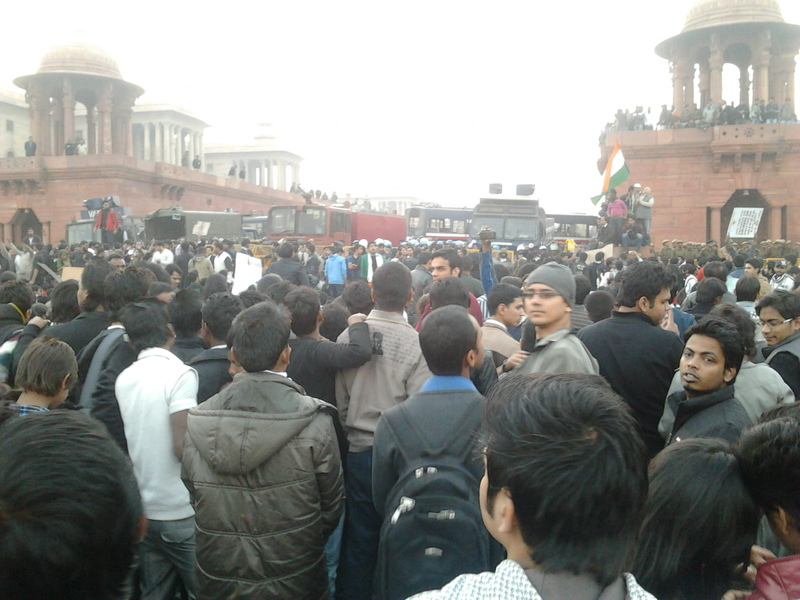 People agitating in front of President's House. To rebuild Parliament’s image as the supreme institution of the people concerted efforts are needed at the professional level. People should be made aware about the things their representatives are doing for them. 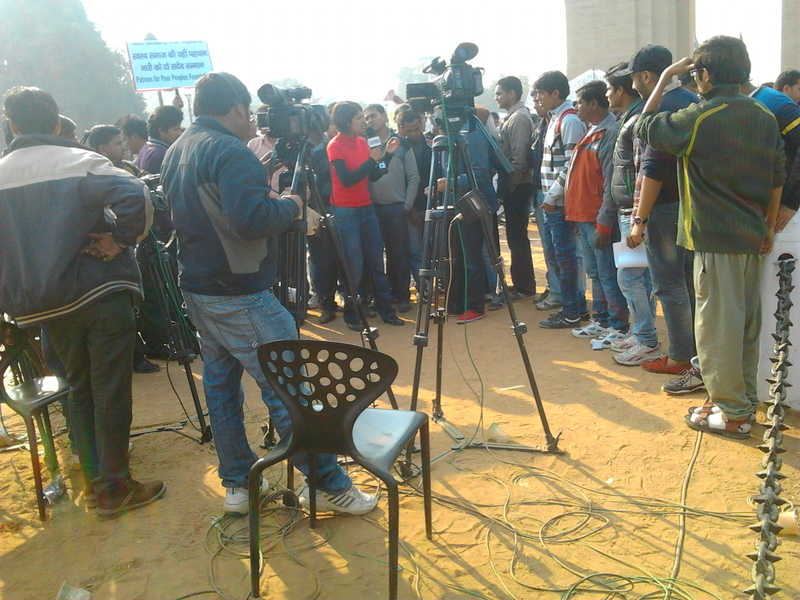 Print and electronic media can play very important in rebuilding the healthy image of parliament. With the advent of Digital India Campaign reaching to a large extent of people and updating them about the recent performance would become easy. Even it would become easy for the public to track the performance of representative with information one touch away from them. Prime Minister is already very famous in media and he reach out to people through multiple channels like radio (Mann ki Baat), Facebook, twitter, and MyGov.in etc. To project good outlook of parliament Govt. the representative should take part in public debate and answer the question raised to them through multiple channels. An answerable government is all that public needs. By attending inquiries from the public. It should also publish the telephone number and address from which information about parliament and its activities may be sought. By arranging debates, interview, talk etc. on Radio TV or any other public platform. Good image of parliament would restore the faith of people in parliamentary proceedings. Politicians who are by default are considered corrupt, may find the change in perception of people towards them. Good people may try to enter politics which is at present dominated by criminals and corrupt people. And always, today is the right time to change for good.